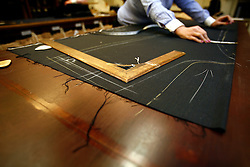 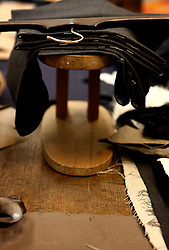 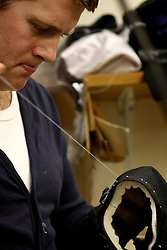 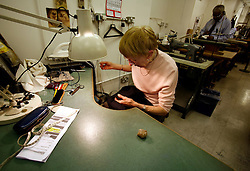 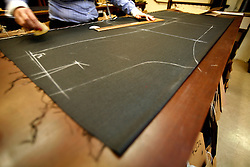 Photo essay about a traditional Savile Row tailor, The Huntsman. 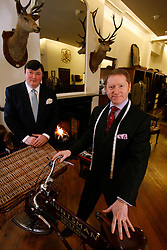 The Edwardian-style fitting and cutting rooms, mounted stag heads and compartmentalised workshops over several floors suggest an old-fashioned craft refusing to compromise on quality by automation. 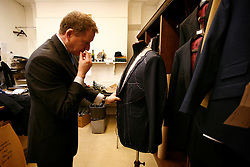 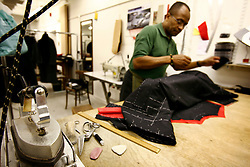 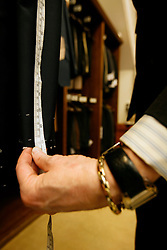 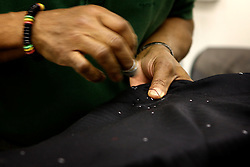 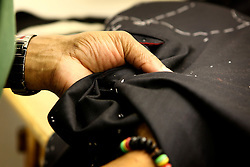 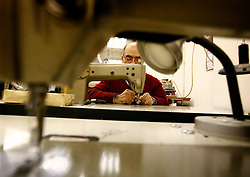 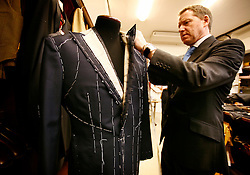 Customers usually have three to five fittings, and garments are hand-made using paper patterns by a staff of highly skilled cutters, coat, waistcoat and trouser-makers, alteration tailors and finishers, taking several weeks. 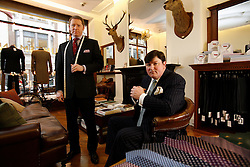 They don't do 'modern', they don't advertise, and they don't need to. 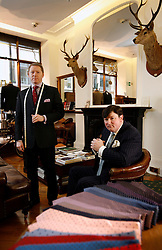 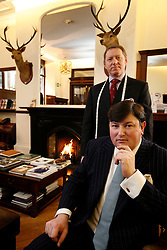 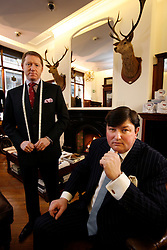 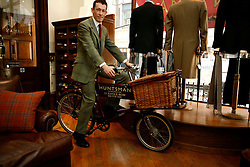 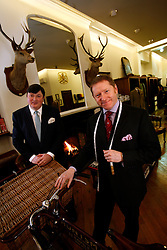 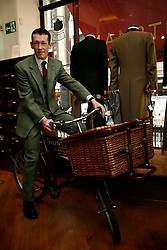 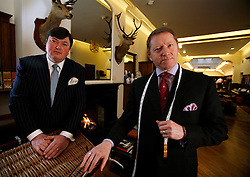 Their standards explain Huntsman's prices, still among the highest on Savile Row.